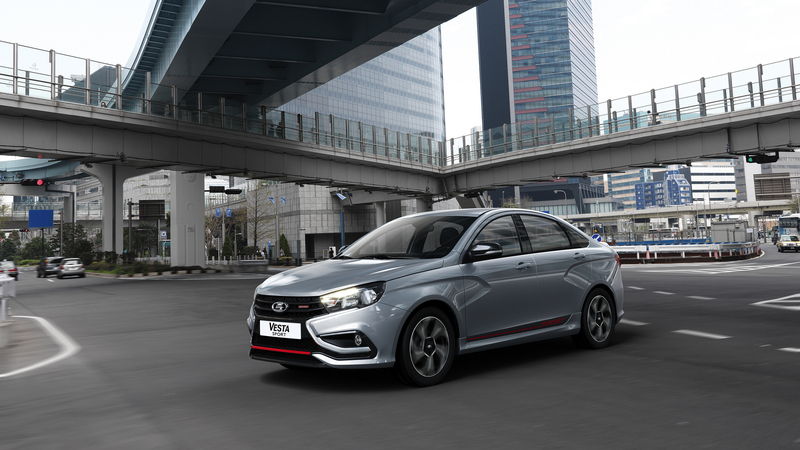 LADA Vesta is the first Russian automobile with the maximum of 4 ARCAP ‘stars’ following the results of the crush tests. 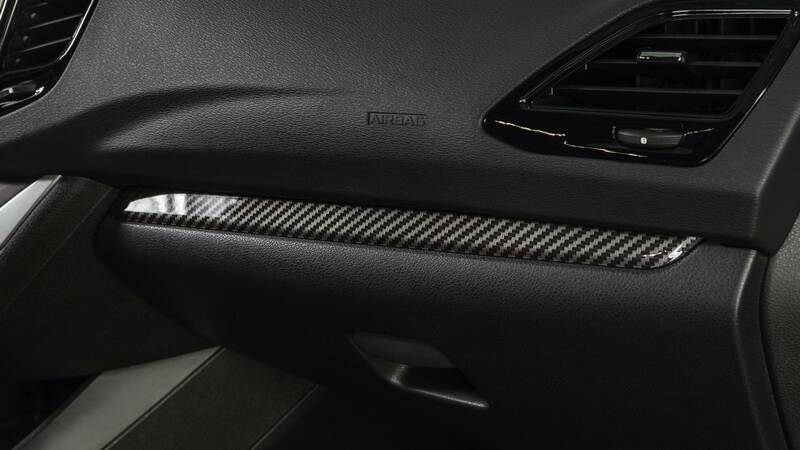 But safety is even more critical for a sports car. 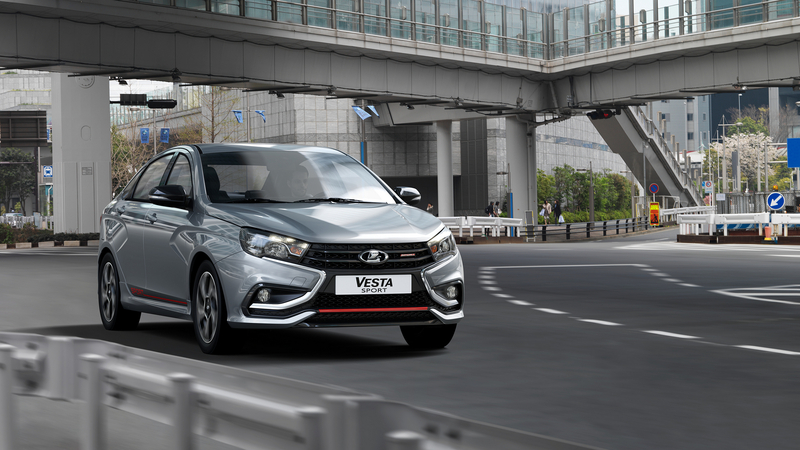 Safety is a must for any motor races, so each structural element of LADA Vesta Sport is designed to ensure confident driving in any conditions and at any speed. 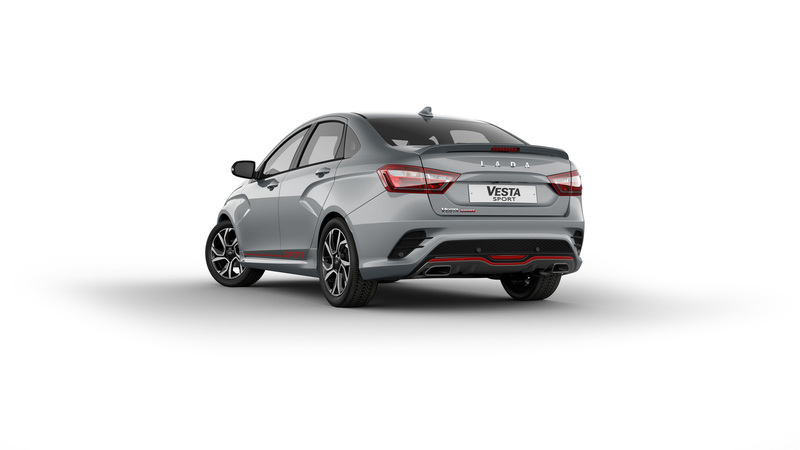 LADA Vesta Sport is a combination of sport and comfort: ridged profile of the front seats for tight seating, in particular, when going through the sharp turns at a high speed. 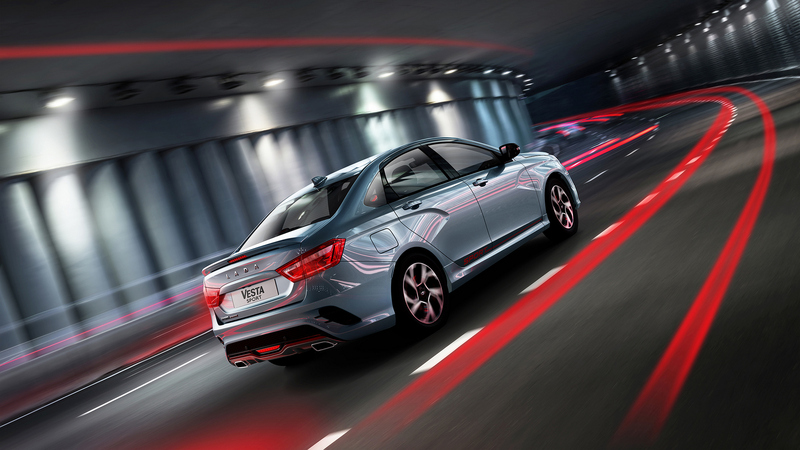 LADA Vesta Sport stands for truly ‘sound’ design. 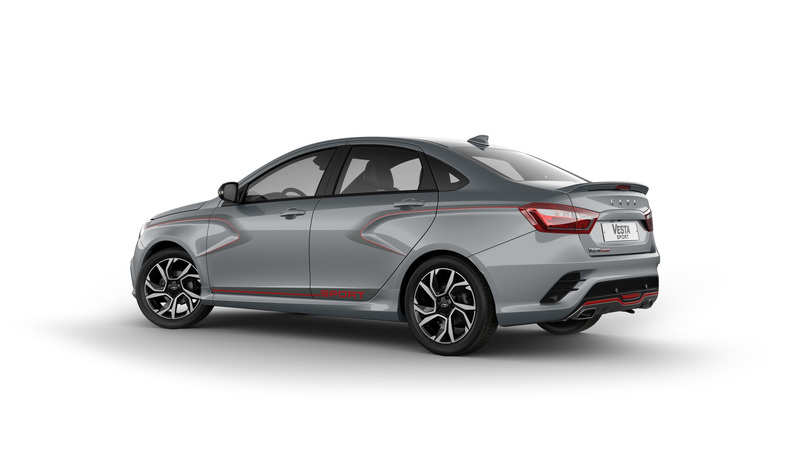 Exhaust system has been designed to efficiently reduce the noise at lower speeds, and only at higher speed and during acceleration you can hear the ‘aggressive roar’ of the sporty engine. 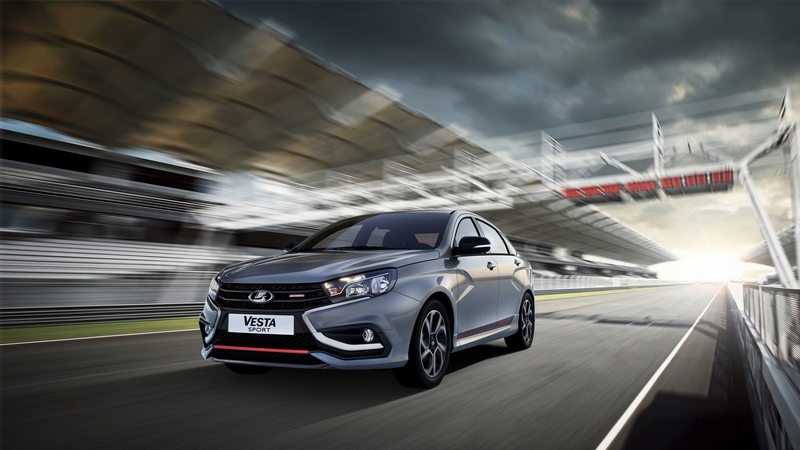 •Climate control system with temperature maintenance function: any weather feels better with LADA Vesta Sport. 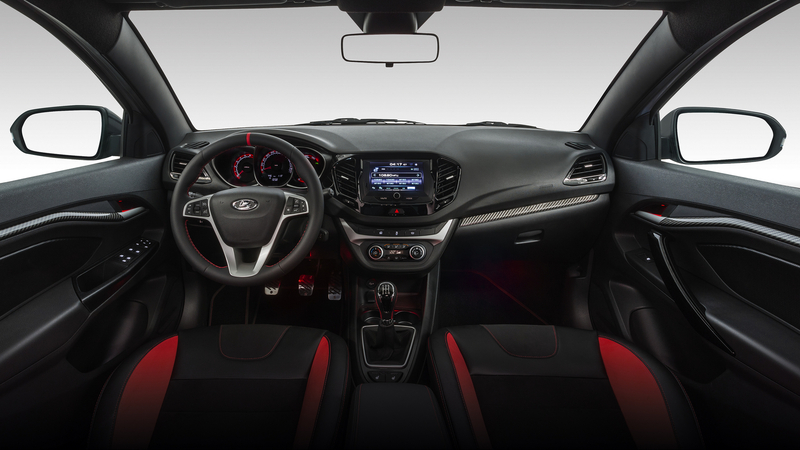 •Front seats heating: 3 levels of heating for maximum comfort. •Windscreen heating is a must for the country where the winter season lasts over 6 months. •Electrically adjusted and heated side-view mirrors are a useful option for control on the road. •Rain and light sensors: flexibility is a must in changing conditions. •A large spacious trunk and foldable rear seats - for those who like sport and holidays in the countryside. •A steering column can be adjusted by height and reach: a comfort no matter how you’re built. 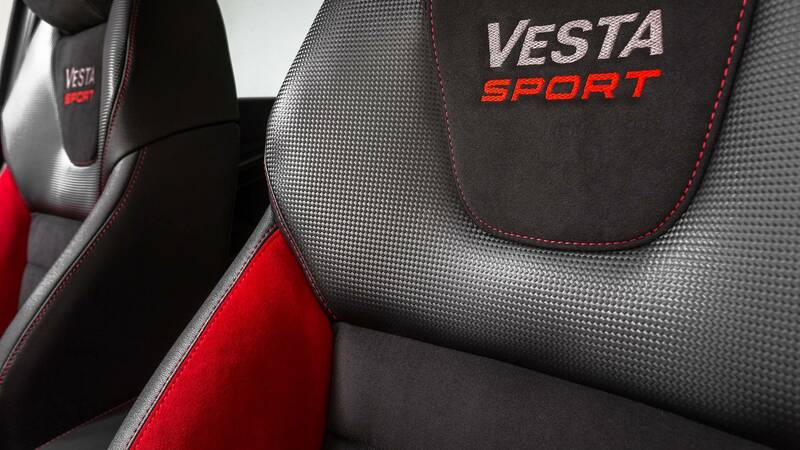 •Height adjustable driver’s seat with lumbar support: make your automobile comfortable for yourself. •Cooled glove box (14 l). Anatomic shape of seats. Perforated surface materials. Antiskid surface. 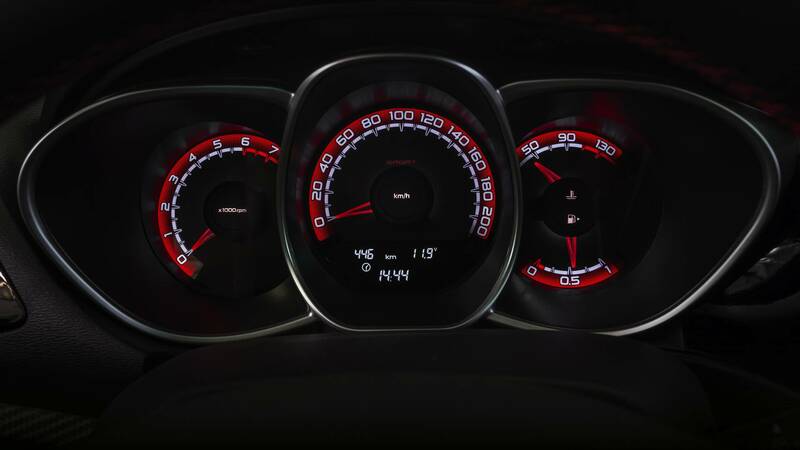 Brightly marked key interior elements. Sporty bounce. All these make the sports outfit different from the ordinary stuff. 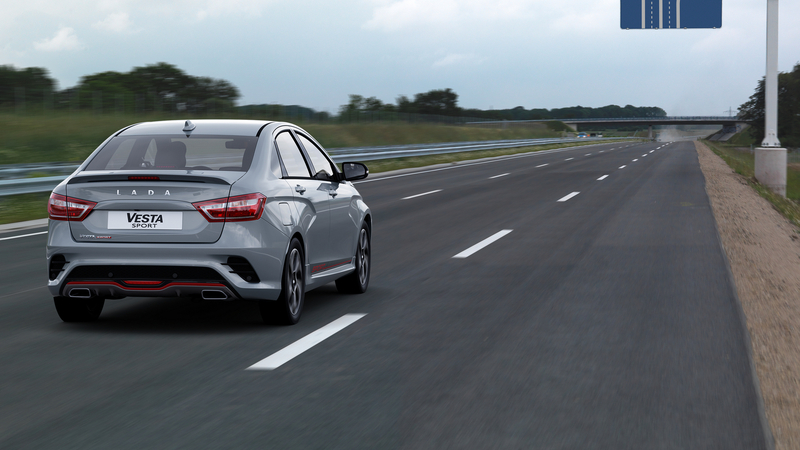 All these is true also for the interior of sporty LADA Vesta. Exciting roar of sporty motor is coming closer, you already hear the tires squealing on the road curve... And here is the automobile itself, ‘hugging’ the asphalt, maneuvering between moving and immovable obstacles You will never forget the feeling when you see it just once. 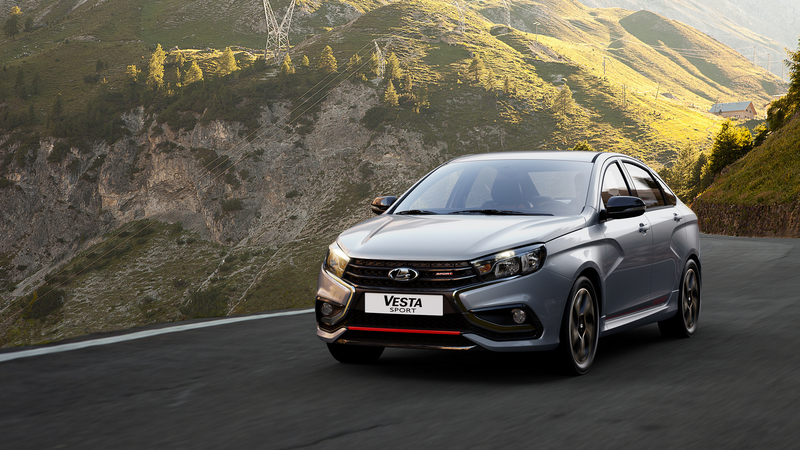 LADA Vesta Sport has adopted motor-racing technologies and has been customized for every day journeys inside the city and on the motorways. 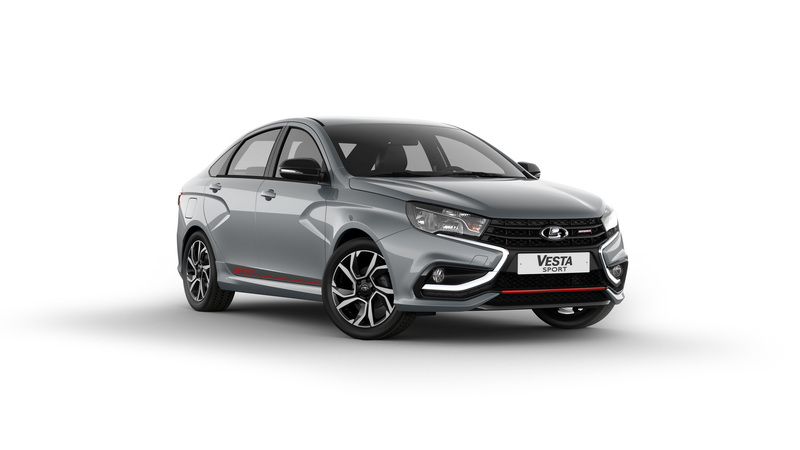 LADA Vesta Sport - it is all about a distinctive, striking style, completely refurbished frame and the engine - with the power increased up to 145 hp. 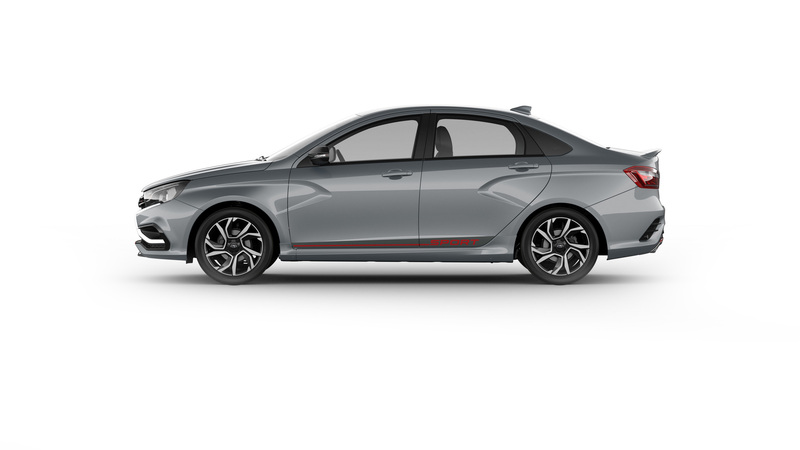 LADA Vesta Sport stands for over 205 unique parts, each of these parts has been integrated into the automobile structure following expertise gained from Russian and international contests.